As learning professionals, it is often a challenge to either conform to processes, be those within your company, the industry in general, or a cemented view of Instructional Design models such as ADDIE. Here’s a quick reminder to ourselves: let’s think outside the most with (almost) every new project, see in these an opportunity to try something new… or try something old in a new way. 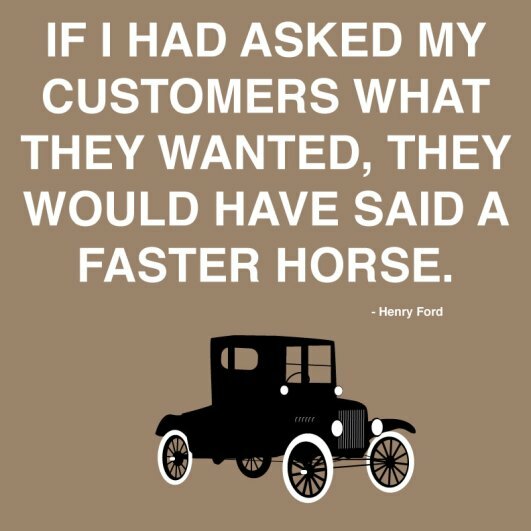 Note: do you care whether or not these words in the original quote were said by Henry Ford or not? Share your own quotes that inspire you to try something new every day! 2 responses on "A Faster Horse"